Standard Life’s new brand campaign has stepped up a notch to show how retirement can mean many things when the right financial plans are made in time. 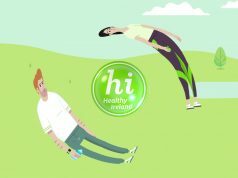 ‘My Second Life, My Way’ is one of the biggest campaigns the life savings company has ever undertaken in the Irish market. The second phase of the campaign continues to champion the eclectic and empowering choices people are making in retirement. Using real stories from inspiring Irish retirees, like William, whose passion for his craft led him to his Second Life as head brewer for a thriving independent brewery; and Gráinne who rediscovered a talent for the performing arts through her newfound vocation as a tour guide in Glasnevin Cemetery. Stories like these highlight just how much retirement is changing. With the right financial plans in place, the choices people have are very open. Retirees can choose to live a Second Life doing what they love, whether it’s voluntary, discovering a new vocation or simply having the freedom to spend it with the people that matter the most. 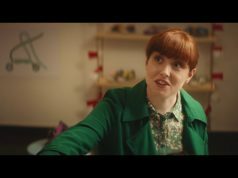 Created by Publicis Dublin for Standard life, the campaign will run online across Ireland’s main broadcast players. It will also have an extensive presence on out-of-home and radio.